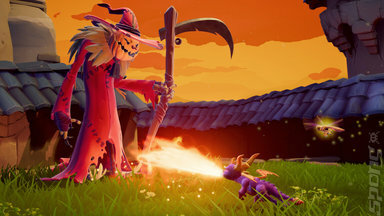 Something strange happened when I started the Spyro Reignited Trilogy - before the game started I couldn’t remember anything from the original, but as soon as the intro finished I was off! Almost on auto-pilot, I swept through the first world as if some unseen hand was guiding my way. Developer Toys For Bob has done a marvellous job of rebuilding these games. They look like modern releases while maintaining the original gameplay and, as far as I could tell, the general location of the various collectibles. The original trilogy progressed graphically like all series over the lifespan of a console - as developers get more familiar with the hardware they squeeze more out of it and improve the visual fidelity of their games. Something similar happens with the Spyro Reignited Trilogy. All three games have a similar, almost identical, visual consistency. 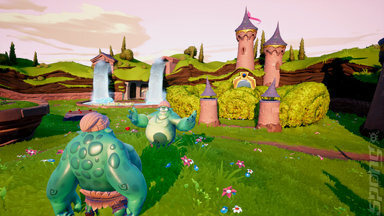 However because the originals that Toys For Bob worked from each featured increasingly detailed environments, so too the remade levels get more dense and smarter designed as you progress through the trilogy. 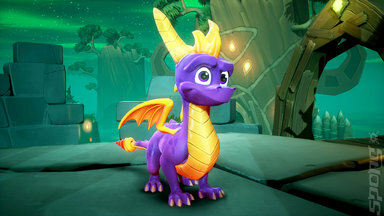 Visually all three games are wonderful, from the light penetrating the membranes of Spyro’s wings to the richly detailed and animated Dragons you ‘collect’. The quality of the other characters, as well as Spyro, is reminiscent of the Ratchet & Clank remake where the fidelity of the visuals are almost CG film levels. The music and voice work has also been cleaned up and remastered to match the overall excellence of the presentation. The gameplay and controls remain mostly unchanged, for better or worse. One notable exception of now including a fully controllable camera, something the originals lacked relying on the L1 and R1 buttons for camera movement. This addition makes lining up some of the more awkward jumps a great deal easier - numerous times when you’ll think you can make a jump, only to come up short, the difference between success and failure usually comes down to angle of approach and timing your glide. Plus, unlike modern games Spyro didn’t, and still doesn’t, have a ledge grab manoeuvre under his scaly belt. The Spyro games at their core are all about collectables and having enough of something to progress. There is little rhyme or reason behind the numerical barriers in your way, except as a mechanism to make you explore the various sub-regions of each level and filling up the lists with 100% completion. It's a simple and ancient mode of progression that still works and is, actually, extremely satisfying – be prepared to spend a lot of time dashing around regions in search of a final dragon or a key to crack open a chest that should contain the last gems. The story told across all three games is serviceable, but nothing to really write home about, and that's okay because it does precisely what it is meant to - keep you moving and give you a superficial reason to run around like a purple lunatic looking for shiny things. As the trilogy progresses more characters become involved and the narrative broadens but never really deepens. 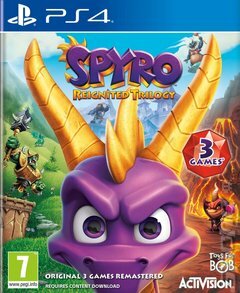 If you’ve been craving something that can be incredibly relaxing whilst also tickling the reward centre of your brain, then the Spyro Reignited Trilogy is precisely what you need. The platforming can be frustrating at times, but this trilogy is how collect-a-thons should be handled – with their purpose proudly worn on their sleeves.